With less impact on the environment, better knockdown and longer residual effect — and more freedom about how and where you can use it — green bed bug solutions are more popular than ever. Preparing to apply a green alternative can be simple, but the processes involved with a well-rounded bed bug treatment are just as important with a green solution as they are with a conventional approach; they can make or break a positive outcome. These processes can take many forms, including preparation work by the homeowner, making all vulnerable areas available for proper inspection and treatment, and then thoroughly vacuuming to allow your treatments to hold better residual and be more effective. Most treatment failures are the result of procedure breakdown, not product failure. Be sure to read your specific product’s instructions. 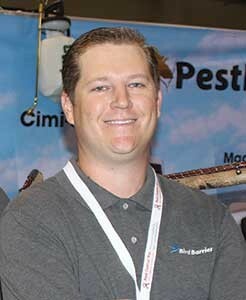 Andy Srejic is the Western Region Technical Specialist at Pest Barrier.